Shanxi, a well-know tourist province for its abundant historical and cultural sites, is one of the birth places of the Chinese nationality and civilization. 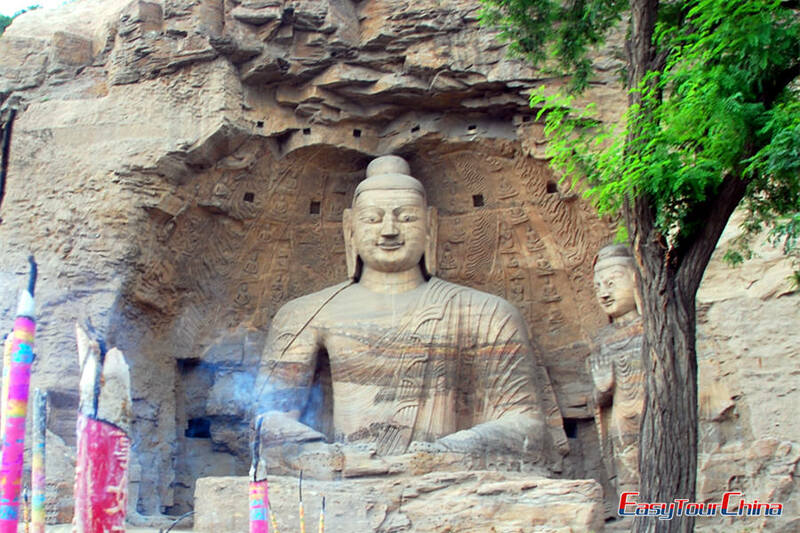 Take this tour, you can fully explore the major cultural and historical relics in Shanxi Province. 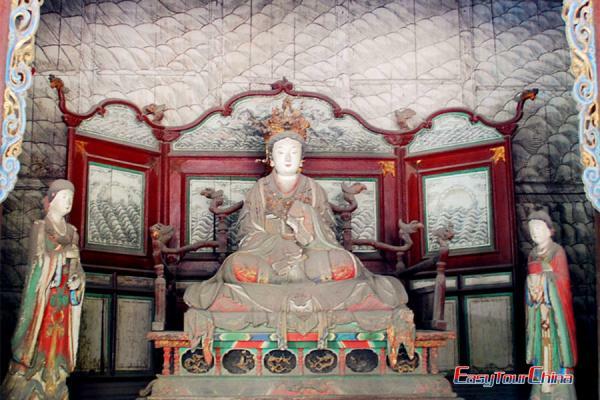 The popular scenic spots including Yungang Grottoes, Huayan Temple, Nine Dragon Screen, Hanging Temple, Wooden Pagoda at Ying County, Mount Wutai, Jinci Temple, Dayun Temple at Qing County, Jindeng Temple, Longmen Temple, Kaihua Temple, Yuhuang Taoist Temple, Fencheng ancient architectural complex, Guangsheng Temple, Ming Dynasty Jail, old town of Pingyao. 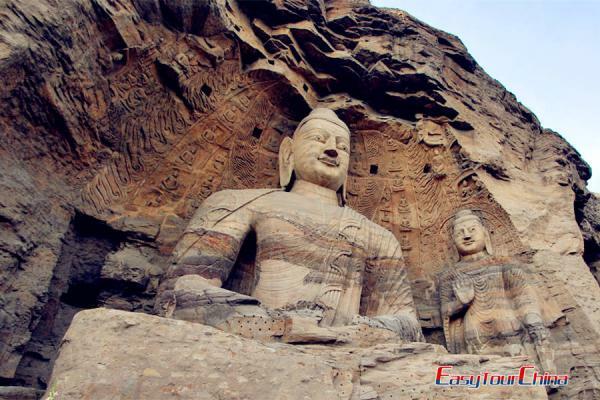 2 Day 2 Visit Yungang Grottoes, Huayan Temple of Liao, etc. After breakfast, transfer to visit Jinci Temple, which was founded about 1,400 years ago, boasting a diverse collection of more than 100 sculptures, buildings, terraces, and bridges. 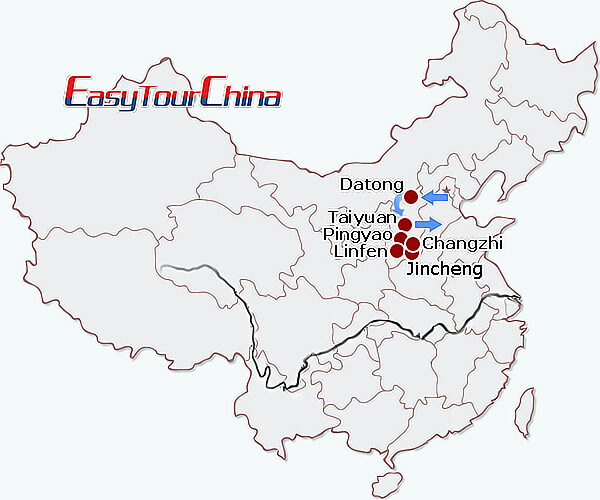 Then proceed to Changzhi city (3 hours) in the afternoon. En route visit Dayun Temple at Qin County. 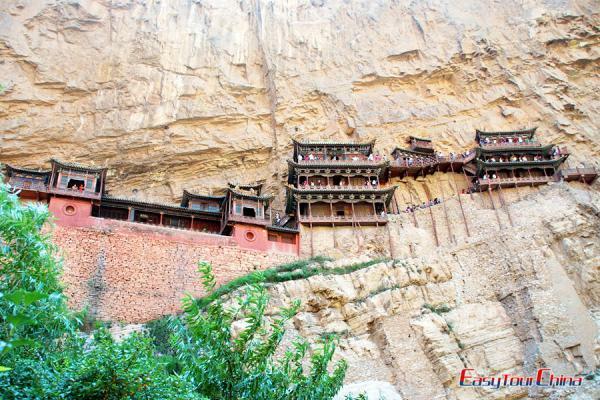 After breakfast, transfer to visit Jindeng Temple, which is famous for the Buddhist grottoes art. Then proceed to visit Longmen Temple, which was first built in Northern Qi Dynasty (550-577 BC), and it is home to architectures from Five Dynasties, Song, Yuan, Ming and Qing Dynasty. Drive from Changzhi to Jincheng. Visit Kaihua Temple, which is well-known for the exquisite frescoes painted in the North Song Dynasty. In the afternoon, explore the Yuhuang Taoist Temple, the 28 statues of Gods of Constellations built in Yuan Dynasty are the highlight in this temple. Drive about 4 hours from Jincheng to Linfen. 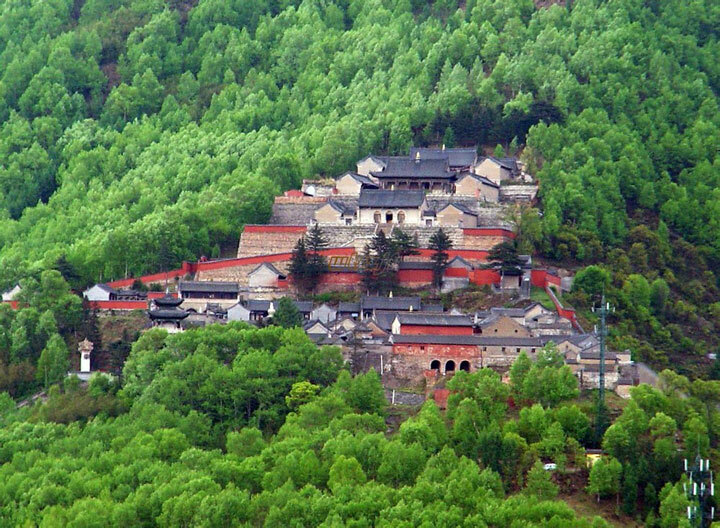 On the way, visit Fencheng ancient architectural complex. 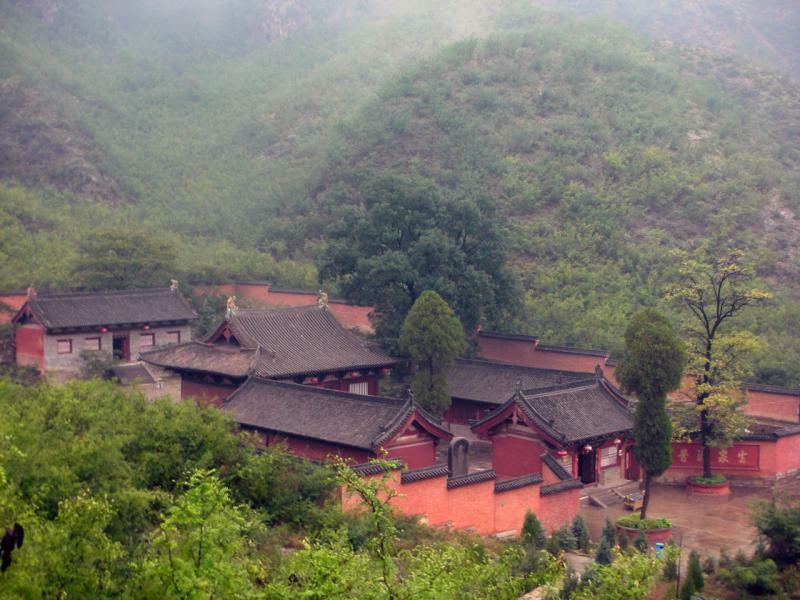 After arrival in Linfen, visit Guangsheng Temple and Ming Dynasty Jail. 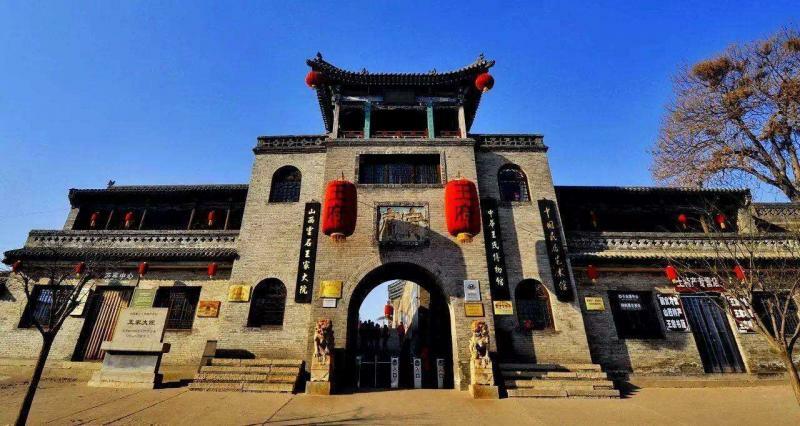 Drive about 3 hours to Pingyao, which was listed as UNESCO Cultural Heritage site in 1997. Visit Wang Family compound on the way, it is also nicknames as “Civilian Forbidden City” in North China. Transfer to the airport and board flight to next destination.